TVS Motors has finally added ABS to the Apache RTR200, a bike that goes directly up against the Bajaj Pulsar NS 200. The Pulsar 200 NS recently got single channel ABS as an option. The Apache RTR 200 ABS is priced at Rs. 107,485 ex-showroom Delhi, and the good part is that the bike gets a dual channel ABS. Dual channel ABS works on both wheels while a single channel ABS works only on the front wheel. Naturally, dual channel ABS is better to have because of better braking power on both wheels. What you’ll miss on the ABS equipped Apache 200? Fuel injection. Why? 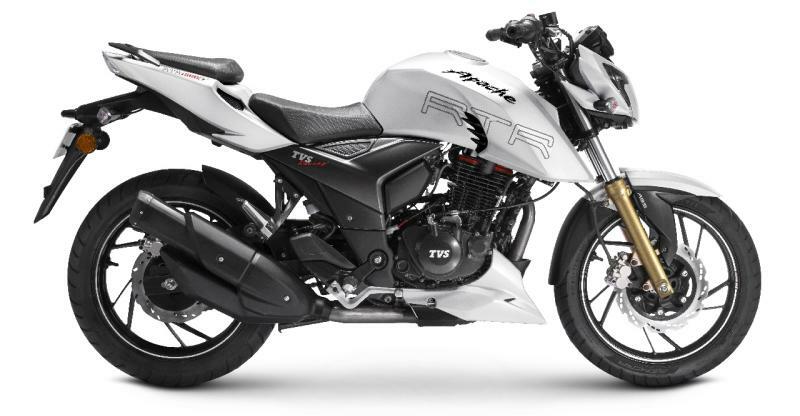 Because TVS thinks that both FI and ABS offered together will make the bike too pricey for buyers. Why not offer such an option and let the buyer choose? Well, that’s something we just don’t understand about car and motorcycle manufacturers in India, who seem to hate offering the buyer more options. If you want such a combination on a TVS bike, you’ll have to buy the Apache 310, a bike priced nearly double. Coming back to the Apache, it features a carbureted 200cc, single cylinder four stroke engine that pumps out 20.7 Bhp of peak power and 18.1 Nm of peak torque. A five speed manual gearbox is standard. Compared to the Pulsar 200 NS, the Apache RTR 200 has a big power and torque disadvantage. It’s also much more pricier. Then why buy the Apache RTR 200 you may ask? Well, the bike is track honed and handles beautifully. It feels more manic and urgent than the Pulsar 200 NS, and is also the more hooligan of the two. If you want something that you tear streets on, it’s the Apache RTR 200. ABS will help you stay alive, and out of trouble. So, it goes without saying, if you’re buying one, make sure it has ABS.